With advancements in photovoltaics today, the realistic prospect of such technologies producing 95% of their generating capacity after 20 years is now proven. Additionally, PV solar panels produced in the 1960s are still generating today, so the prospect of this technology is becoming a lifelong family friend will be a certainty in an uncertain world. The longevity of solar panel technology is a fantastic attribute but has made it compelling enemies. Unfortunately, solar technology has been suppressed and deliberately discouraged by recent political leaders, just because this would involve telling people that ‘free energy’ technology exists and that would never do for those selling you gas and electricity. Today’s party politics allows powerful lobbyists to get their way and there’s nothing more potent than an energy industry that has an interest in the population paying high annual energy costs. This mindset goes to the heart of the government as both Amber Rudd Sec of State Dept of Climate Change’s brother Roland Hudd and George Osborne’s father-in-law Lord Howell are highly paid lobbyists for the Gas Fracking industry. Because of this, today we have a government which has adopted a policy to discourage solar panel adoption. The clean energy industry has seen the loss of over 18,000 jobs due to these policy changes. The political pursuit of fracking for no other reason than it can be ‘metered’ and generates huge profits for powerful lobbyists who are reversing Britain’s direction from the global trend. Norway is already planning to ban oil cars in 2025, and a few German politicians are starting to talk about prohibiting oil cars, yet politicians in the land of hope and glory can barely establish consensus on global warming. At a time of significant change for the UK, it has never been more critical for people to understand the benefits and longevity of this very misunderstood technology in a world of substantial uncertainties. The long-term success of solar panel technology as the rest of the world embraces it is assured. What concerns me is that the British people will eventually overcome this apprehension to it, but only once the broken promises of “too cheap to meter” fracking and our chance to become one of the world’s clean technology leaders would have faded away. Despite this, today’s solar pioneers know that politicians come and go, but solar panels are a real family friend for life for those that were savvy enough to embrace them. For Queen, country and those that succeed us. 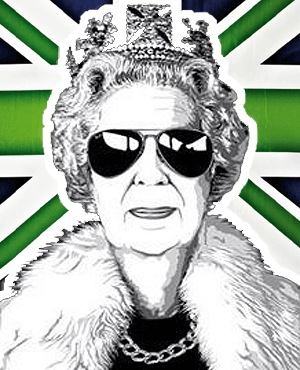 The only consistent aspect of life in the United Kingdom is ‘The Queen’. Our Queen celebrated sixty-three years on the throne recently. If she had embraced solar panels for Buckingham Palace, then she would only have required one replacement during that whole period of her reign. The real hidden scandal is that people like ‘The Queen’ didn’t demonstrate their commitment to dealing with Climate Change and setting a good example for the people and our future King’s – future. The generational aspect of the Royal Family could set a precedent for change towards a more long-term view to producing ‘the nations’ energy requirements, yet the Royal Families lack of initiative to spearhead this vital change to smart energy technologies was shortsighted on her behalf. The reality is that when homeowners ‘own’ their energy assets, such as solar panels, energy storage facilities, and even EV charging capabilities; it’s not long before they can begin to earn money, save money and propel the country’s economy forward. Challenging the profits and dominance of the ‘big six’ from the ground up was never going to be easy, but the reality is that the “too cheap to meter” dream that was sold to us in the 1950s with Nuclear Power was a lie – as fracking is also today. Germany has proven that alternative energy can produce exponentially more power than it needs from its clean energy adoption and regularly export surplus to countries around it. So why do we need to dump billions of gallons of toxic water into the sea with fracking? The real national shame here is that the “too cheap to meter” dream ‘is actually within our intellectual grasp. However, the profits from your extortionately high energy bills are deliberately ‘protected’, and the biosphere that is close to collapsing! Your Majesty – If you genuinely want to see positive change in the autumn years of your reign and a post-Brexit world. Set your subjects a good example. Show those red, white and blue flag waving people the way forward for our ‘broken nation’ and the world as a whole. The rest of the world is powering forward with alternative energy technologies regardless, yet this great nation of ours is being deliberately held back by a few. All it would take would be your example to slingshot the country back towards ‘the cutting edge’ of technological achievement that we have been throughout your previous reign. Support for solar panel technology among the British public has reached a record high of 84%, according to the latest public attitudes tracker by the Department of Energy and Climate Change (DECC). It would seem that current government policy is at odds with the public opinion yet again. Bloomberg predicts in 2040 about 35% of new cars sold will be an EV. I suspect Bloomberg is underestimating and will be more like 2025 with the help of legislation to promote EV’s gathering pace and alongside solar panel uptake too. All it takes is some political will – spearheaded by a forward-looking Monarchy here to follow suit. Families, royal or common can develop a ‘clean energy’ century. Ma’am, we both know that you’re aware of social engineering and we both know that a King’s power will be useless if the biosphere and economy are crashing around our ears! Ma’am, your country and your planet need you!